Today I want to talk about graduate life. That crazy time when (if you went to university) you're thrust out into the big wide world for the first time with no road map in front of you. This post has been sitting in my drafts for about a month now. 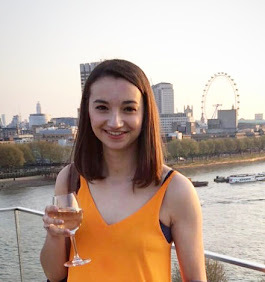 And then I saw the lovely Holly's post about her experience of grad life so far and it encouraged me to polish this one off and send it out into the world. As Holly points out in her wonderful post, we don't really talk about grad life, or at least not very honestly. I think for most of us we're the first generation where the majority of us go to university, and then come out and have a huge array of different options we can take. 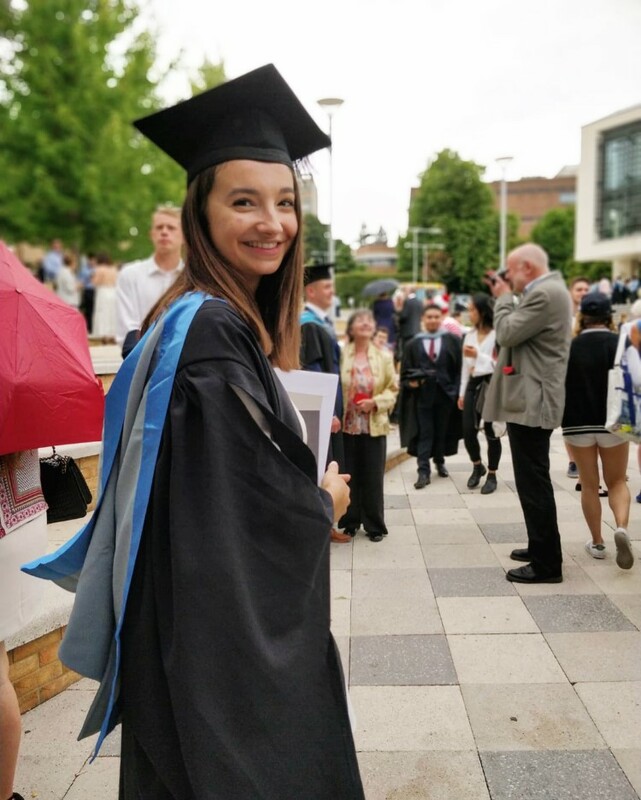 My Mum grew up in Communist Romania and the other day was telling me how, after being one of the very few actually allowed to go to university, she graduated and was told she could either be a teacher or a translator and that was it. Even the place where she would work was assigned to her. Bleak, right? Because of that, I think the fact that it's now pretty widely accepted for grads to have gap years, to do further study and take other routes rather than going straight into work has led us all to think that we have it great and that graduating opens up such an exciting period of our lives. And it definitely does, especially in contrast to generations before us who didn't have as much choice. But it's also pretty damn terrifying and overwhelming at times and I think it's so important to talk about that. Before I do, I want to write a disclaimer that I am fully aware what a privileged position I'm in to have all of these options in front of me and to have an undergraduate degree from a great university. Life has dealt me a wonderful hand so far and I am so grateful for that and don't for a second mean to suggest with this post that graduates like myself have it tougher than many people in this country who are suffering today and don't have many options at all. I'm also aware that not all graduates are in my position either and this is an account of my experience only. With that said I would like to open up a dialogue about the fact that it is at times overwhelming to have come out of full-time education which I've been in since I was four-years-old and to be attempting to navigate my life. It's so hard to know what's 'right' and I think we have an obsession with taking the right path and doing the right thing when actually at this age I'm not so sure there is a right path or one right thing to do immediately after graduating. Heck I was so unsure about the right path for me that I nearly did a masters this year. It's so unbelievably confusing trying to consider what to do. And I just want to take a moment to say that that's ok, if for no one else than for myself. I'm so unbelievably excited to go travelling in a month (!!) and have what I'm sure is going to be such an adventure unlike anything I've done in my life so far. But I'd be lying if I said that I haven't spent the past few months also questioning whether taking this year out is a huge mistake, looking at friends around me who already have amazing jobs with great security and wondering if I should have gone for that too or if by taking this year out I'm making myself unemployable. And that's even though taking time to travel is something I've wanted to for years and something which I know many employers actually admire nowadays and, even if they didn't, touch wood I've got my whole life to work but this is a once-in-a-life time thing. Yet I can't count the number of times that I've cried to my Mum because I'm scared of what the future holds and there are so many things I might like to do but I'm not sure exactly what I want to do and even if I can decide what I want to do, the jobs market feels so hard to get into these days that I sometimes worry I might never get a job. And, as you can see from that very long sentence documenting my train of thought alone, it's very easy to spiral, be completely panicked and wonder what the hell I'm doing. But, having spoken extensively to my very best friends, all of whom are doing completely different things this year, I've realised that no matter what you're doing, everyone feels exactly the same way. My friends who have those amazing jobs and that security I can only dream of right now have told me of thoughts that 'this is it' for the rest of their lives, and worries that they'll now never be able to take time out to travel like I am. I have other friends who have started masters, realised they've got years ahead of them before they'll have finished study to do the jobs they want to do and feel behind everyone because of that. Whatever we're doing as new graduates, this is the first time we're really in the driving seat of our lives and that's damn scary. Amazing too, absolutely. But uncertain and terrifying in this world where so much is changing and unknown at the moment. Lord knows what Brexit will do to the jobs market, there's just no predicting the future right now. And that's a lot of anxiety to put on my generation's shoulders. So no wonder this period of our lives is scary and hard and difficult at the same time as being exciting, energising and freeing. If you're a recent graduate who can relate to these feelings of uncertainty, I hope this helps you to know that you're not alone. However you're feeling about facing graduate life, it's ok. It's ok to be unsure and sad at the same time as being excited and over the moon to finally be in control of your own life. We're only in our early twenties, and with the help of wonderful people around us, we will figure it out I know it. So the truth is graduate life isn't all sunshine and rainbows. But that's ok. It's a really turbulent time and it's real life, we've just all got to hang on in there.